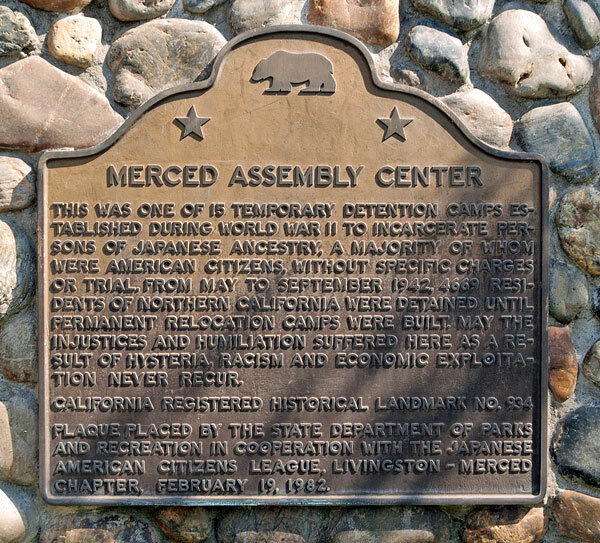 This was one of 15 temporary detention camps established during World War II to incarcerate persons of Japanese ancestry, a majority of whom were American citizens, without specific charges or trial. 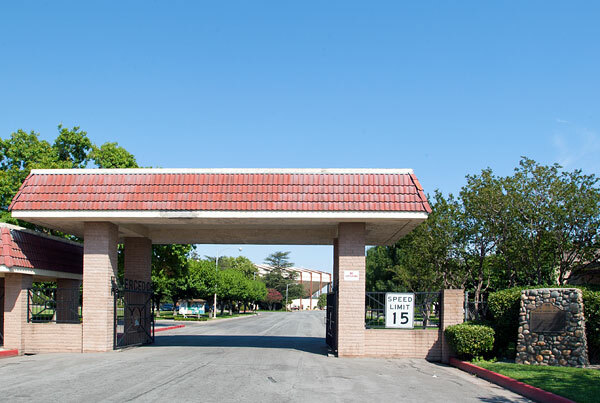 From May to September 1942, 4,669 residents of Northern California were detained until permanent relocation camps were built. May the injustices and humiliation suffered here as a result of hysteria, racism, and economic exploitation never recur. 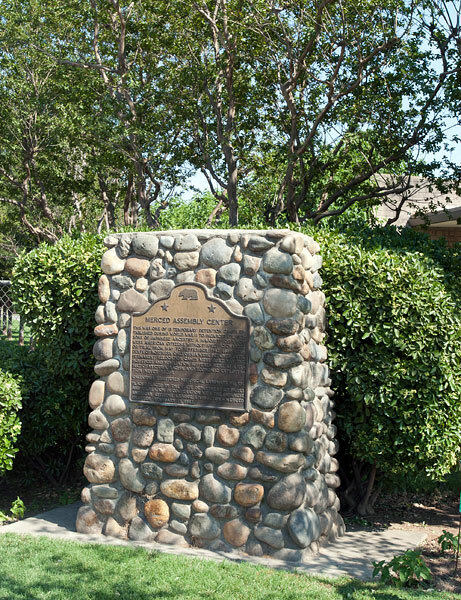 Plaque placed by the State Department of Parks and Recreation in cooperation with the Japanese American Citizens League, Livingston-Merced Chapter, February 19, 1982.